Rarely has a man defined the spirit of an age as well as Alexis Soyer: celebrity chef, best-selling author, entrepreneur, inventor, philanthropist and Crimean war hero. Soyer built the world famous kitchens of London's Reform Club which he filled with such ingenious inventions as the gas stove and steam lifts. He set up the most innovative culinary theme park ever seen in the capital, and devised the sauces and relishes that would make household names of Mr Crosse and Mr Blackwell. In the 1840s he set up revolutionary soup kitchens during the Irish potato famine, and in the following decade risked his life by travelling to the Russian peninsula to reform army catering for the troops - saving thousands of soldiers from the effects of malnutrition. Alexis Soyer was one of the most famous names of the early Victorian age, and his legacy lives on through the radical army reforms his work set in train. He was also in a similar spirit of the age - a secret womaniser, near bankrupt and alcoholic. He even submitted a plan for a World's Fair but his plan like all the others were rejected in favour of the late entry by Paxton. He commented much on what he saw as the poor catering arrangements at the Great Exhibition. This brilliant man, who during his lifetime was more famous than the men he regularly brushed shoulders with men such as Thackeray, Disraeli, Dickens and Palmerston dropped completely from public view after his untimely death. His friend Florence Nightingale, never one to praise lightly, wrote that his passing was a great disaster for the nation. Yet despite making several fortunes he died virtually penniless, his personal papers were destroyed, his funeral was a hushed-up affair and today his grave lies neglected and rotting in Kensal Green cemetery. 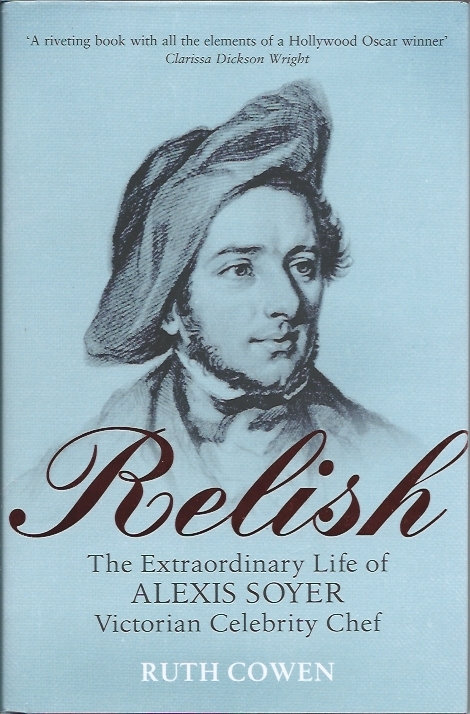 This is the first full length, fully researched biography of Alexis Soyer, which explores the life, career and legacy of one of the most enigmatic and extraordinary figures of the Victorian age.